Facebook name like your real name. It was the name that everyone on Facebook can find, connect with you. Currently, Facebook does not allow users to use fake names because the community benefits. 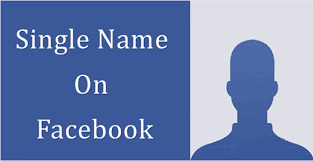 If you are using the name violates the terms Facebook, you can change Facebook name here. Maybe many people use same name like you, which is why Facebook allows you to use the username and has a unique ID to distinguish you from others.